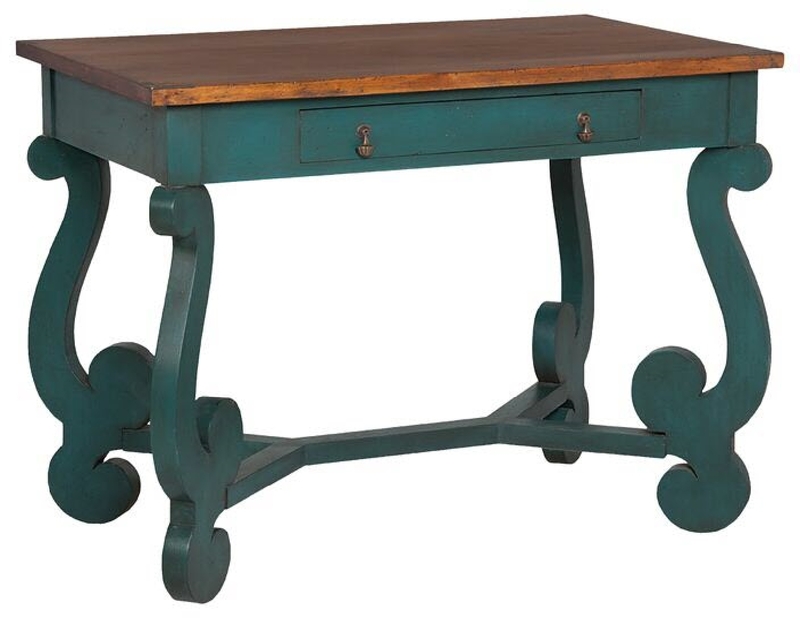 HERITAGE CONSOLE TABLE - Heritage Teal finish on solid wood table with Woodlands Stain table top. Antiqued hardware. H 30" x W 40" x Depth 24"